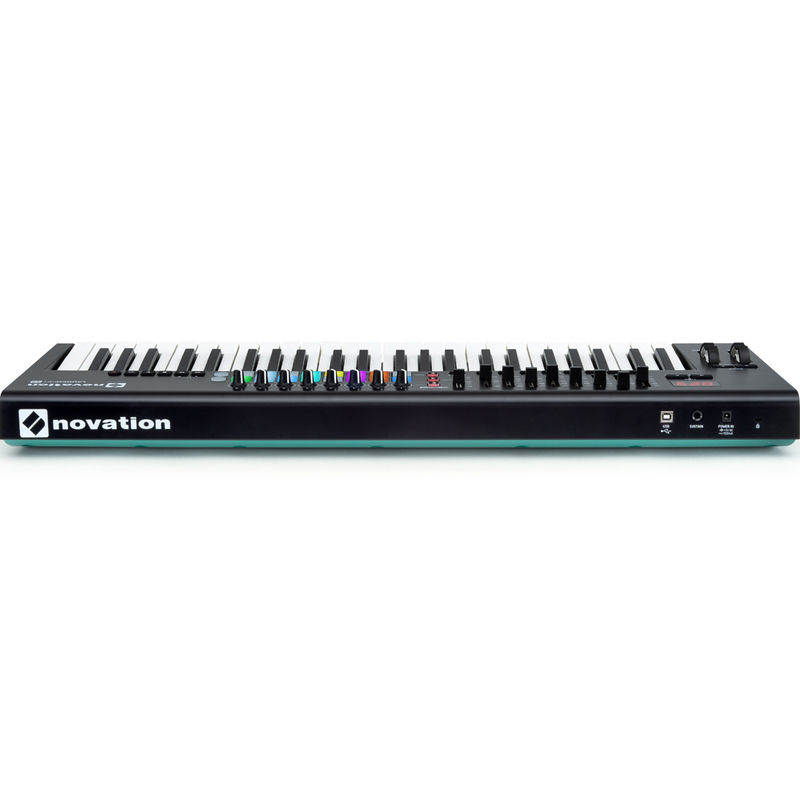 The Novation Launchkey 49 MK2 is a synth-style MIDI keyboard controller for Ableton Live, and is available in a range of sizes (25/49/61-note keyboards). It features 16 velocity-sensitive RGB pads that give you immediate hands-on control of your session view, instruments, and mixer. 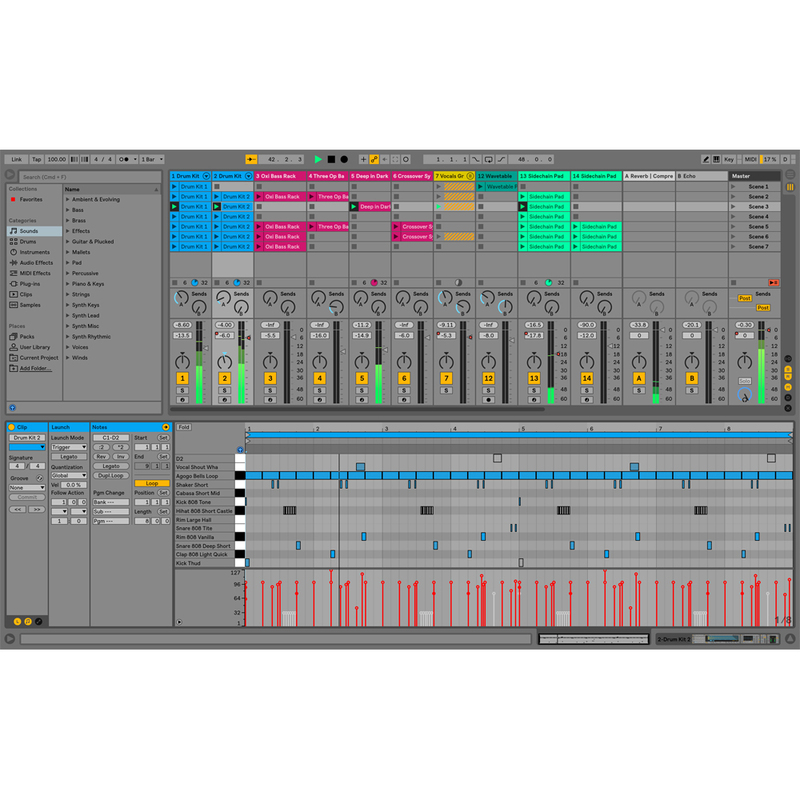 The 16 pads are laid out in two rows of eight to match your Ableton Live session view, and full, multi-colour RGB LEDs match the colour of your clips. 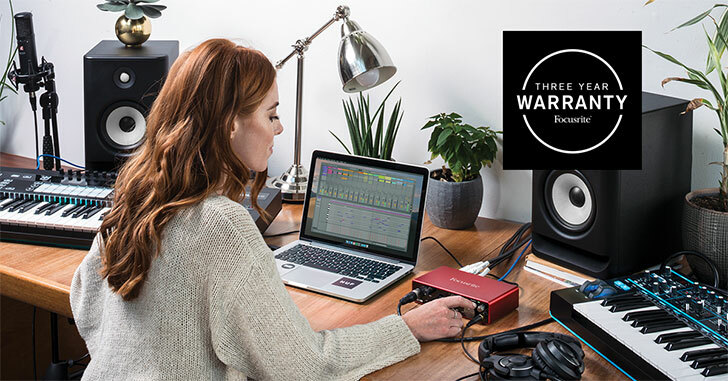 You can use the pads to launch clips, control FX, and play beats expressively. The Launchkey 49 MK2 has 8 knobs that allow you to tweak your instruments and effects, and 9 dedicated faders for hands-on control your mixer. There are also 6 dedicated transport controls, pitch bend and modulation wheels, and sliders (9 for the 49 and 61-note, and 1 for the 25-note). 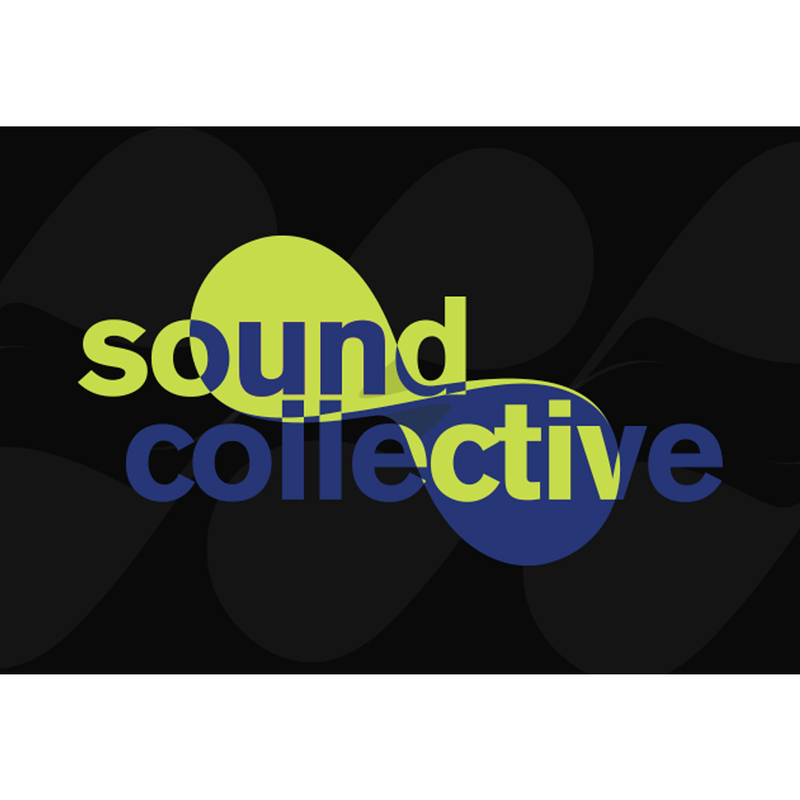 All the controls integrate seamlessly and immediately with Ableton Live, and can be reassigned to anything. 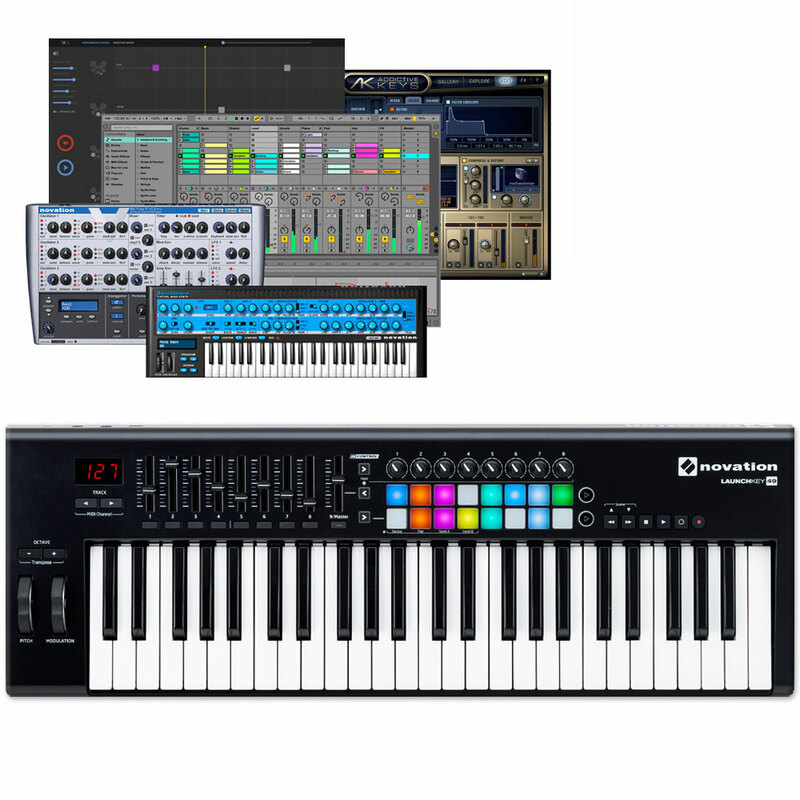 If you do not use Ableton, the Launchkey 49 MK2 will map to other major music software using InControl, once again, putting you in control of DAWs immediately without any manual mapping. 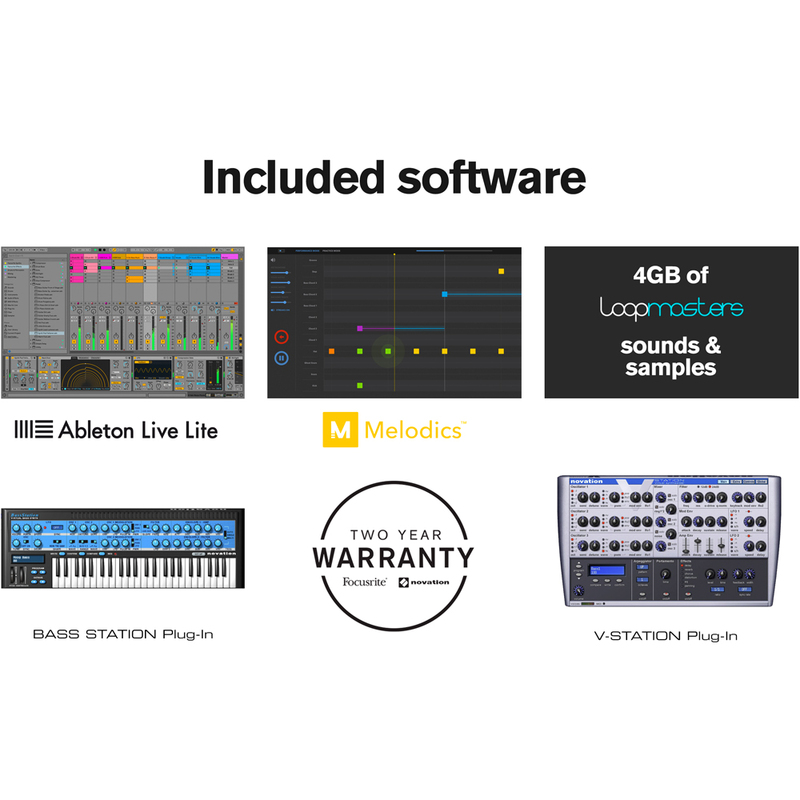 Included in the package is software for both Mac and PC, including Ableton Live Lite, as well as Novation Bass Station and V-Station virtual instruments and over 1GB of Loopmasters samples, so you can start making music instantly. 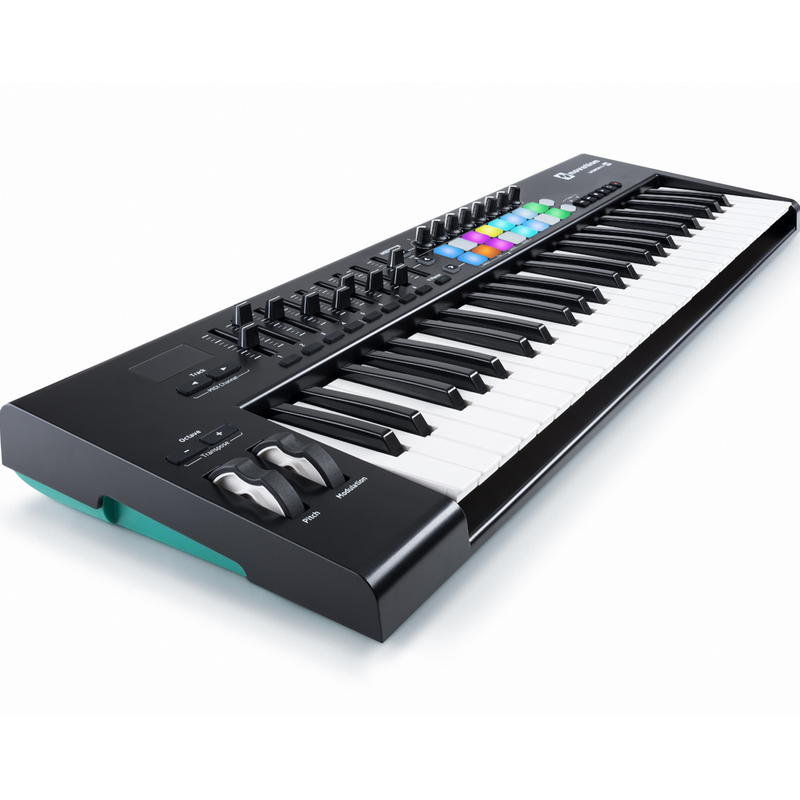 The Launchkey 49 MK2 is lightweight, fast, powerful, and very easy to play. The I/O include USB and DC power sockets, and a sustain pedal ¼ inch jack socket. It’s also compact and tough enough to take anywhere, and is fully USB bus-powered and class compliant, so it doesn’t require any drivers or power cables. Just plug in to your laptop, Mac, PC, or iPad (using a camera connection kit, not included) and play!